This is your Instagram Sliedshow. Please do not delete. HERE AT CHOCOLATE CITY BULLDOGS WE APPRECIATE YOU STOPPING BY ENJOYING OUR ENGLISH BULLDOGS. WE ARE A SMALL FAMILY LOCATED IN SOUTHWEST MINNESOTA. WE OWN AND BREED AKC ENGLISH BULLDOGS. 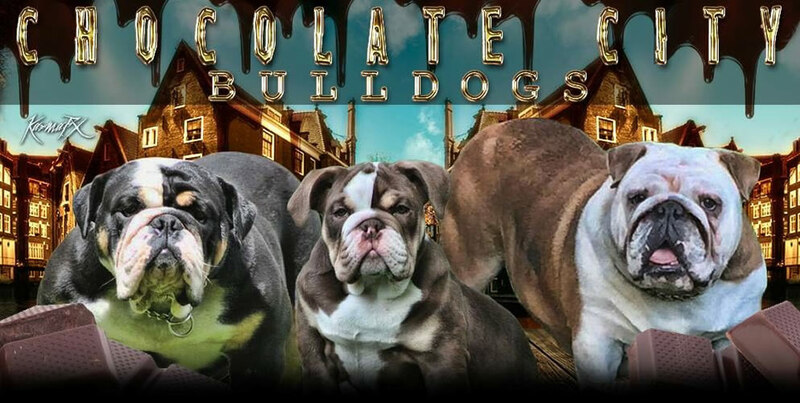 EVEN THOUGH WE SPECIALIZE IN RARE COLORED ENGLISH BULLDOGS; INCLUDING BLACK TRI BULLDOGS , BLUE TRI BULLDOGS, LILAC TRI BULLDOGS AND CHOCOLATE TRI BULLDOGS, WE DO NOT SACRIFICE THE QUALITY, HEALTH OR CONFORMATION OF THE BULLDOG BREED TO OBTAIN THESE RARE COLORS. 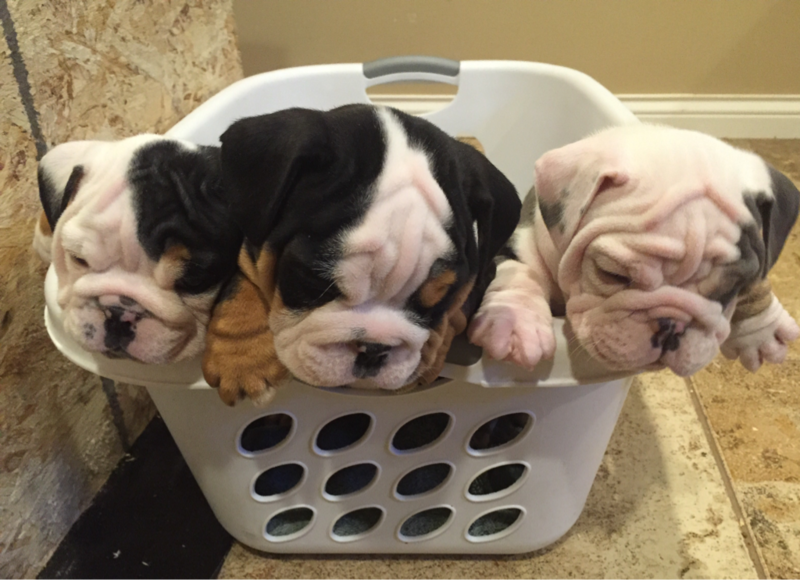 ALL OF OUR ENGLISH BULLDOG PUPPIES ARE RAISED INDOORS AROUND OUR FAMILY AND CHILDREN. WE MAKE SURE THE PUPPIES WE OFFER ARE LOVED AND SPOILED FROM BIRTH. HEALTH, TEMPERMENT AND STRUCTURE ARE THE THREE IMPORTANT ELEMENTS TO OUR PROGRAM.